The mechanic / slave / car-racing wunderkind of the first Star Wars prequel has become a surly young man. His relationship with his mentor is strained when he discovers the dark side of the force. 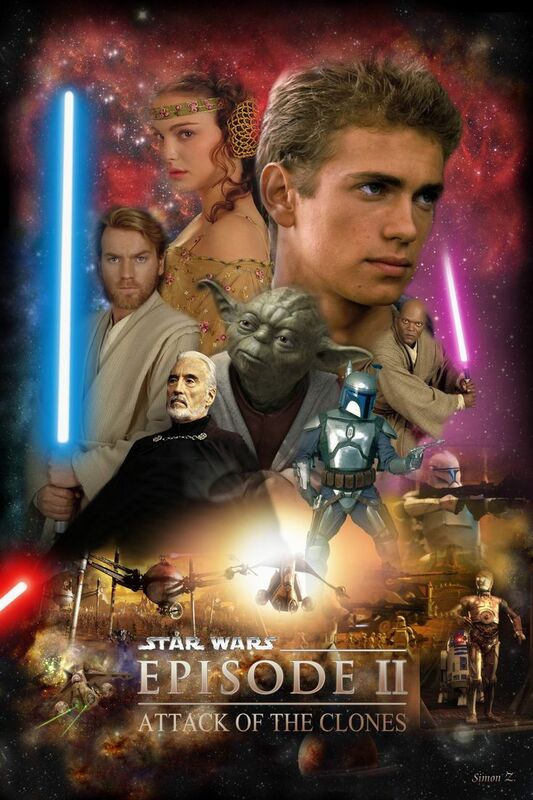 Meanwhile, on the other side of the galaxy, Yoda, Obi-Wan Kenobi, and the Jedi knights take on armies of Maori clones acting as proxies for an ambitious senator. I'm a native of Dublin, and a graduate of Trinity College, so when Obi-Wan Kenobi steps into the Jedi Library / Archives, I see something very familiar. 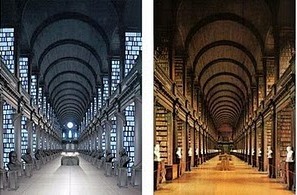 Lucas denies the similarity, but place the Jedi Library next to Trinity’s Long Room, and the theft is undeniable. In place of the Irish oak are metallic blue panels, and the leather-bound volumes have been substituted with some kind of Jedi Kindles with broken batteries (the books glow). But the architecture and furnishings display a remarkable likeness, down to the marble busts, where Yoda replaces Jonathan Swift. For centuries, barrel-vaulted libraries and early modern storehouses of knowledge were synonymous, and in the Long Room the design reached its apogee. All six Star Wars films are deeply nostalgic, and play upon this ubiquity. Smirke’s British Museum Reading Room dome, the other great library matrix, was a triumph of Victorian industry with a nod to Roman grandeur. It wouldn't be nearly so appropriate for an on-screen brotherhood who end up fighting a losing battle against an empire. Much has been made of the Jedi librarian - simultaneously an old woman with her hair in a bun and a Jedi knight in her own right. Once again, Lucas reached for his box of cinematic platitudes. The film turns on Obi-Wan Kenobi’s discovery that the archives are incomplete. The severe librarian denies that this is possible. The three Star Wars prequels lack the charm and narrative pace of their predecessors. The pyrotechnic space-battles are entertaining, but the characters are ciphers, the acting wooden, the direction heavy and the writing awful. The librarian as killer spinster is an apt metaphor for the entire film. Lucas' clichés were once charming; now they fall flat. I had the same familiar feeling when I was there at the Long Room, Dublin's oldest library. That somehow it was like walking into somewhere I have seen before. Then it dawned on me that as I was walking up the steps, the view of the library from one end of the Long Room looked like the Jedi Archive. At that time, I couldn't remember exactly how the Jedi Archive looked like until I did a little search on Google images. It looked liked it had been ripped off a 17th century library built for a 15th century university. Thanks for posting my previous comment. Glad to have helped explain your feeling of déjà vu. However, depending upon how you define library (as a facility, organization, collection, or building) Archbishop Marsh's Library has a greater claim to being Dublin's oldest. The building opened eleven years earlier than the Long Room, in 1701 (see http://www.marshlibrary.ie/). It is also interesting that the attitude of the librarian -- if it is not in the catalog it doesn't exist -- is still a sacred rule of library science. When even the Jedi library cannot vouch for its collection woe to the hubris of modern day catalogers who think they can collect and tag all the world's knowledge. If it ain't in the catalog it may just exist! Now how is that or a Jedi mind trick!